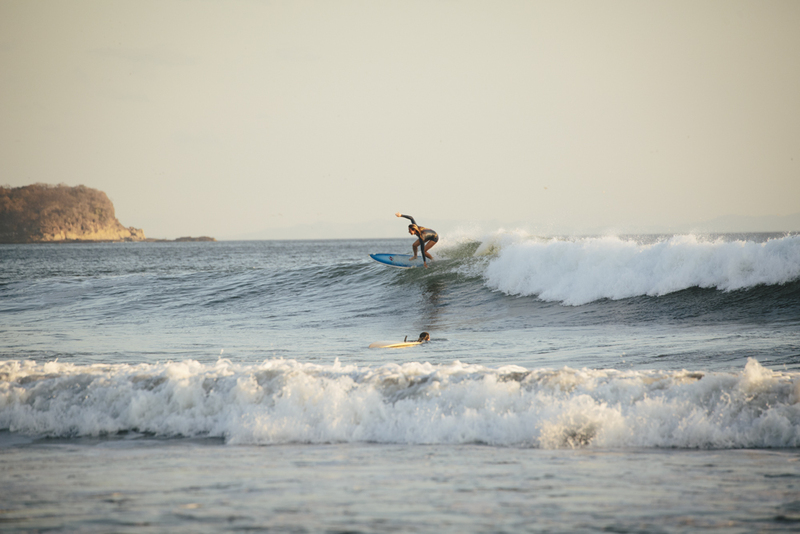 It's time to take your surfing up a couple notches, be physically prepared for your next Surf Coaching Retreat in Nicaragua with the Papaya team. I've developed just the program to help make your next surf vacation a success! A four-week Surf Conditioning Program in preparation for your next trip. YEW!! Here’s how it works: We will be targeting the muscles we need to keep strong for surfing, as well as nutrition guidance to keep your bodies functioning at an optimal level. The workouts include cardio conditioning to increase lung capacity to keep us calm and confident in the water as well as a strong focus on the abdominal muscles which is one of the most important areas to maintain. It will enhance our form/balance from the paddle to pop up, board control, and maneuvering. Flexibility is another very important part of staying fit and surf ready. This is the foundation of everything. In my program, I encourage stretching four days a week for a minimum of 30 minutes. The workouts are anywhere from 30 minutes to an hour. I encourage people to try and workout 6 days a week, but understand that everyone has busy schedules so we can try to cater a workout program that’s just right for you. Everyday will be a different workout so your muscles have time to recover and it keeps it fresh and exciting. The more you commit, the more results you’ll see and the stronger and more confident you will feel. If you are ready and committed to improving your surf game, and you'd like to learn more about my Surf Conditioning Program, please send an email to bodybyindia@gmail.com, co-owner, and operator of Papaya Wellness, certified coach.